This is one of my new favorite dahlias for 2012. 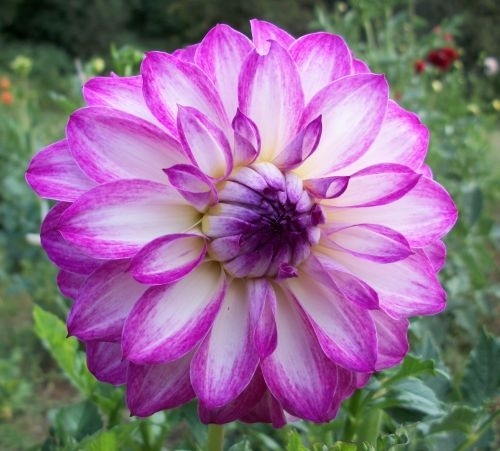 A formal decorative white dahlia that looks like the lavendar is painted at the tip. Originated in 1981.